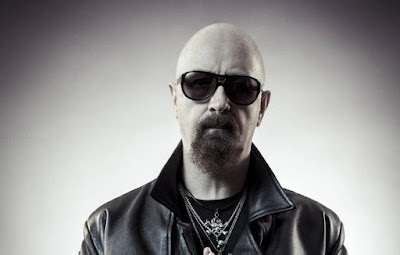 MetalRockNews: Judas Priest's Rob Halford: "The new album will be released early next year"
Judas Priest's Rob Halford: "The new album will be released early next year"
Judas Priest singer Rob Halford was recently interviewed by Full Metal Jackie, you can read some excerpts below. Full Metal Jackie: We are here to celebrate the release of the "Battle Cry" CD, DVD and Blu-ray. It is out now, and was recorded at the Wacken Open Air festival in Wacken, Germany in August 2015. Man, Wacken is such an amazing place. I got to see you play there a few years before that. Man, this one you guys play in front of like, 85,000 people? Halford: "Yeah, it was amazing, an absolutely incredible atmosphere at Wacken. You know, all the metal festivals, no matter where they are around the world, they're unique, because they're not only great for the bands that are jamming onstage, but for the metal community and metal maniacs. They get a chance to get together and, yeah, listen to all their favorite bands, have some drinks and just talk metal and live that experience, and that's what Wacken is very, very famous for. It's a three-day event, I believe. And I can't remember how many times we've played [Wacken], but we knew we wanted to make a full… you know, film it for a DVD/Blu-ray and CD audio. And we were trying to figure out the best place to do it, as the 'Redeemer Of Souls' tour roared around the world. And Wacken made perfect sense, because they've already got in-house cameras and stuff going down; they do that every year — it's just a great set of facilities that they have backstage. So we got it all to work, and, man, this is great. This is a real celebration for Priest, the 'Redeemer Of Souls' tour and for metalheads all uniting on that special night." Full Metal Jackie: So many people thought that the band sounded better than ever on the last tour, especially you. How much did that overall response initiate the making of "Battle Cry"? Halford: Well, the fans drive us more than ever. When you see that kind of reaction, when you feel those kinds of vibes coming to you, not only from the stage but on social media, especially, [and] when we meet our fans as often as we can after a show, that's what we still thrive on in Priest and that goes into what we feel and what we do when we're out on that stage. We're obviously having the best of times ever, playing together as a band, but when you're looking out and you're seeing that frenzy, when you're feeling that kind of insane response, it fires you up to really put more into it. And we've said it so many, many times, we feed on that energy and power from our fans. And it goes into our performance. I think that's what it is, you know. I don't know why I was singing like I was, or how Glenn [Tipton, guitar] was playing so great, and Richie [Faulkner, guitar], Scott [Travis, drums] and Ian [Hill, bass]. But there was just something very special happening on that 'Redeemer Of Souls' tour, and you can really see it and feel it and hear it in the 'Battle Cry' release." Full Metal Jackie: The last tour lasted a little more than a year, over a hundred shows. What factors did you have to consider when choosing which show to film and what ultimately made Wacken your choice? Halford: "Well, we're still recording every show that we do. That's just part of what Priest has done forever, from the [mixing] desk. And that's kind of an important element, I think, all bands should consider. You know, capture all your shows, whether you can just do it from the desk or whether you've got some GoPro [cameras] on the stage. It's all important, it's all valuable. And beyond that, you're looking for, in this case, the biggest dimension that you can capture. I mean, this is just talking off the top of my head. When we were just recently looking to approve the Us festival that we did out in what is now Devore in Southern California in front of three hundred and fifty thousand metal maniacs, when you look at that, you go, 'Man, that's metal, that's metal in its biggest expression. You know, the big stage, hundreds of thousands of people, that's a very, very special type of attribute to metal music, and let's try and do that again on this current tour.' We played a ton of festivals, as you know, Jackie, both here in the States and elsewhere around the world, but the Wacken one fell into place from the calendar perspective. But above and beyond that, we wanted to put Priest in that dimension that we haven't seen the band in for the longest time for a festival moment. It took a festival atmosphere to capture the pure raw size and power and volume of Priest live in front of all of those fans and metalheads." Full Metal Jackie: From young men who are relentless to succeed to becoming a well respected band with an impressive body of work, what's changed most about your overall perspective of being a musician? Halford: "Well, I think that, you know, over four decades in metal, there's a lot of wisdom at this point [laughs], and I'm one for wisdom, Jackie; you know me. Speaking about this, that and the other, qualified or not. But you just do these things, you know? It's just part of living the life. And we've done thousands of shows, God knows millions of miles we've traveled, and all of these things accumulate, but at the heart of what you do, it's not really that much different, when you think about it. Because you're still a band together, you're still having good times, you're still loving to do what you do in a band, and being with your fans that have given you the life in metal. So it's a combination of all of those things that have changed incrementally, obviously. But the pureness of it is real, it's raw. And I think that's very important for any band to remember if you're growing. Don't lose sight of who you are and what you are and how you got to where you end up, you know? And a lot of that is all the hard work, but it's also the fans that have been with you and have grown with you as your band is developing. And as a musician, I think it's, again, to your advantage to consider and remember that you can never stop growing; there's always a new idea, there's always a new riff, there's always new way to sing a note, there's always a new way to hit a drum. All of these things, you can never stop really learning in music. So that, for me, I think is the fundamental part of the joy of being in Priest. As we gear up to make a new Priest record, we have that in built and we know that the chance to grow some more and to display some things that we haven't done yet." Full Metal Jackie: Rob, how is the relationship between people in a band similar and different to co-workers in a more traditional 9-to-5 career? Halford: "I think it's very similar, because, you know, we're all creative people no matter what we do in life. And it's very difficult to be creative in the singular sense. I mean, even the most famous solo artists in music will tell you that they're surrounded by a team of people that help them be who they are and to achieve the things that they wanna achieve with their music. And I think that's the same with whatever you do. Whatever you do, it's very difficult to live life alone and by yourself; it's difficult. And so, if you have a friend, if you have a teammate, if you have a co-worker, whether it's one, two [or] twenty, you're all pulling together to achieve something, and there's nothing better than a team being successful. Even if you have failure, that's okay. You grow from failure, you grow from striving. Life is about pain and life is about overcoming that pain and making it into pleasure and joy. Let me rephrase that. [Laughs] Life isn't about pain. Life has some pain in it, and it should do, because that's what makes you grow. So all of that is kind of involved in the similarities. We're all doing something different, but a lot of the essential elements are the same." Full Metal Jackie: Rob, what can we expect from the mighty Priest for the rest of 2016? What are you able to reveal? Halford: "Well, Jackie, we're going on to writing sessions very, very soon. As we're all winding up 'Redeemer Of Souls'… At the end of any tour, like most bands, [we say to ourselves], 'What are we gonna do, guys, girls? What are we gonna do? Where are we going next? What's the plan?' We finished this tour, this big world tour, just before the holidays in December, and we're about to start writing sessions pretty much now. And that's great. Oh, man, I can't wait to get into the writing zone again. That, to me, as you and I have spoken over the years, Jackie, that's one of the most thrilling moments for me personally in Priest. You go into a room, like very, very soon I'll be there hanging out with Glenn and Richie, you'll be in a room with some amps, and, 'Hey, guys, have a cup of tea, whatever.' Turn the amps on, start riffing and boom, you could have another amazing Priest song by the end of the day. I love that part of being in Priest So that's the next step, writing sessions, get some really good, solid Priest material ready, and then, you know, Scott and Ian come in and we jam and we start putting the songs together. Like always, it'll be ready when it's ready, but there was already an extraordinary amount of ideas collected throughout that tour. So I'm optimistic that we should have something ready by… probably not by the end of this year, but definitely by the early part of next year."